And I think you’re going to love them too. Packed with healthy fats, natural ingredients and not to mention 100% gluten free, they’re the perfect little treat. As always, I apologise for my erratic posting schedule of late. Blogging alongside a full time job whilst also training to be a nutritionist has been overwhelming at best. Recently, things have been GO GO GO what with writing a big ol paper on Crohn’s Disease, studying for my biomed finals and of course the daily 9-5. Add into the mix a whirlwind trip to New Zealand and you’ve got a pretty craaaazy summer on your hands. But I truly love having this little space on the internet where I can rant, ramble, enthuse and (hopefully) inspire. I’ve always thought it so important to have things going on in your life that you’re passionate about outside of your workplace. And cooking and blogging- those are mine. Even if I don’t get to tend to them as often as I’d like to right now *pulls face*. I also think it’s important to remind yourself that where you are in your life right at this moment is not where you’ll always be. As everyone will no doubt have thought at one time or another, the grass is always greener on the other side. It’s only once you’ve spent time on both patches of grass that you can really appreciate what the other patch had to offer that the one you’ve been striving for may lack. A real life example: The first time I went to university, I had what now seems like unlimited freedom- big, long stretches of free time interspersed between lectures and tutorials and laboratories. Lots of time- excellent! But not enough money to do the things I really wanted- you know, travel, check out that latest restaurant, shop at wholefoods, buy new clothes, etc. Now, I study part time alongside a full time job. I have more money, but virtually no time to do all the things I’d love to do most. It’s funny, isn’t it? At any given point in our lives there will undoubtedly be the potential for us to get stuck in a ‘as soon as _____ happens, I’ll be happy’ mindset. But the truth is that what outwardly appears to be the perfect lifestyle will inevitably come with its own set of limitations. So I think it’s up to us to really think about, and feel empowered to choose the lifestyle which is the overall best fit for us, and then make the best of any limitations we then face. ‘I thought this was a food blog. Has she gone mad?’ I suppose you’re wondering. My answer is yes- absolutely! All the best people are! In all seriousness, and getting back to the point, what I guess I’m trying to say here is that it’s okay to admit that you just can’t do everything. Sometimes there will be limitations. That’s not to say that you’re not trying, that you’re being lazy or complacent, or that you’re on the wrong path. It can simply mean that you’re in the process of working towards your own version of perfect, and are willing to accept all of the not so perfect things that come with it along the way because to you, the end goal is worth I t. As the saying goes- nothing worth having ever came easy! And rest assured, no matter how much life gets in the way, I will always come back to Fuelling the Fork. 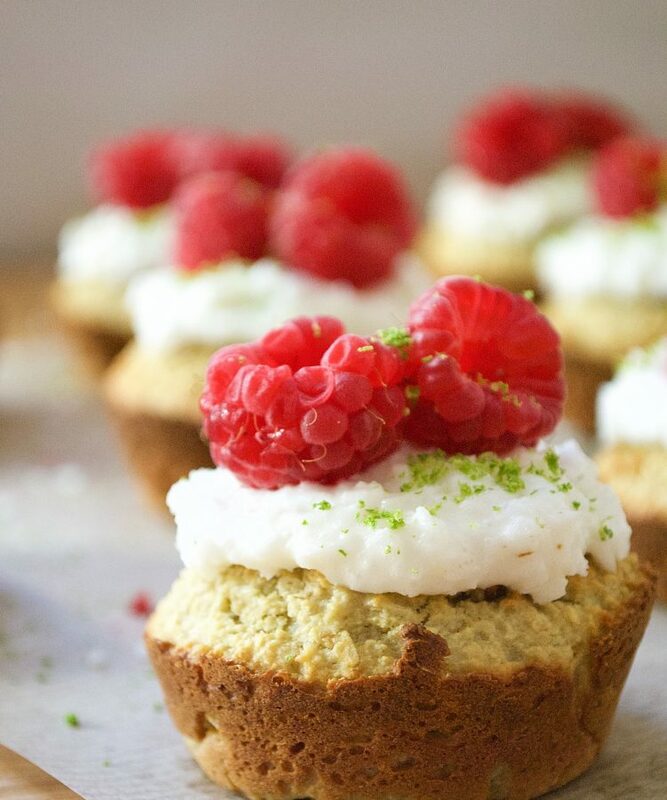 Healthy, gluten free coconut cupcakes with a delicious coconut and ginger frosting. Because what more could you want for your afternoon break? Preheat the oven to 160 degrees celsius, or 180 degrees fan. Next, grease a muffin tin. Melt the coconut oil in a saucepan over a low heat. Meanwhile, place the rest of the wet ingredients in a blender and blitz until combined, then pour into a mixing bowl along with the coconut oil. Whisk together, then pour into the bowl containing the dry ingredients. Stir until well combined, then distribute evenly into your greased muffin tin holes. Bake in the oven for 10-12 minutes, or until golden brown. While the cupcakes are baking, make the frosting. To do this, simply mix together all of the ingredients in a bowl. (I didn't blend it as I like the desiccated coconut pieces- but feel free to blend if you'd prefer! To decorate, spoon the frosting onto the top centre of the cupcake with a spoon. Use the back of the spoon to spread it evenly around the top of the cupcake.